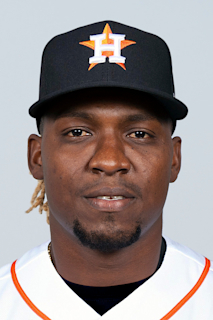 Rafael Montero (Quezada)…originally signed by Mets as a non-drafted free agent on 1/20/11…played baseball at Escuela Francisco Sergio Castillo en Iguerito de Banica…signed by Mets scouts Rafael Perez, Ismael Cruz, and Gerardo Cabrera…enjoys fishing and playing dominoes. Made 7 appearances for the Mets in spring training, but exited outing on 3/20 at STL after facing just 3 batters after suffering a complete tear of the ulnar collateral ligament in his right elbow…had 'Tommy John' ligament replacement surgery on the elbow on 3/27 performed by Dr. David Altchek in New York. Appeared in a career-high 34 games and made a career-high 18 starts...Also set career-highs in wins, innings pitched and strikeouts...Earned the win on June 25 at San Francisco, his first win since September 10, 2014...Went 4-1 with a 3.22 ERA (13 earned runs/36.1 innings) over a seven-game (six-start) stretch from August 14-September 9.... The Mets were 5-2 in those seven games...Over his last nine starts, he went 4-3 with a 3.91 ERA (22 earned runs/50.2 innings pitched)...Struck out five or more batters in nine of his last 12 starts...Tossed 5.0 or more innings in seven of his last nine starts...Turned in a career-best 12.1 inning scoreless streak from August 30-September 4...That streak included a career-high 8.1-inning outing on August 30 at Cincinnati...Averaged 8.62 strikeouts per nine innings and had 11 games with 10 or more swing and misses. Was recalled from Las Vegas (AAA) of the Pacific Coast League on August 28...Also with the Mets from April 13-23...Went 0-1 with a 7.36 ERA (nine earned runs/11.0 innings) in three starts and 0-0 with a 9.00 ERA (eight earned runs/8.0 innings) in six relief outings...Started and fired 5.0 shutout innings and allowed two hits in a no-decision on August 29 vs. Miami...Also started on September 6 at Cincinnati and September 12 at Washington...Stranded all seven inherited runners...Went 4-6 with a 7.20 ERA (64 earned runs/80.0 innings) in 16 starts with Las Vegas and 4-3 with a 2.20 ERA (12 earned runs/49.0 innings) in nine starts with Binghamton (AA) of the Eastern League...Named the Pacific Coast League Pitcher of the Week for the week of May 9-15...Went 1-0 with a 0.00 ERA after not allowing a run in two starts (11.2 innings)...Was named the Eastern League's Pitcher of the Week for the week of July 25-31...Went 1-1 with a 1.35 ERA (two earned runs/13.1 innings) in two starts during the week...Struck out 15 and walked three. Made his first Opening Day roster...Optioned to Las Vegas (AAA) of the Pacific Coast League on April 17...Recalled from Vegas on April 28... Optioned once again on April 29...His option was rescinded and he was placed on the 15-Day Disabled List on April 30 with right rotator cuff inflammation...Did not pitch in the majors the rest of the season...Made his only start of the year on April 28 at Miami...Struck out six batters in 5.2 innings while allowing three earned runs in a no-decision...Posted a 1.64 ERA (two earned runs/11.0 innings) in five rehabilitation appearances between the GCL Mets (R) and St. Lucie (A) of the Florida State League...Struck out seven batters. Began his season with Las Vegas (AAA) of the Pacific Coast League, making eight starts, going 4-1 with a 3.67 ERA (17 earned runs/41.2 innings)...Made his major league debut on May 14 against the Yankees at Citi Field, taking the loss in the Mets' 4-0 defeat...Pitched 6.0 innings, allowing five hits and three earned runs...The only other Mets to make their major league debut in the Subway Series were Jaime Cerda (June 28, 2002) and Jacob deGrom (May 15, 2014)...Was placed on the minor league Disabled List after straining his left oblique following his start at Oklahoma City on June 14, when he pitched 0.1 innings and threw five pitches...Was recalled from Las Vegas on August 12, making three appearances, two starts with the Mets, going 0-1 with a 4.97 ERA (seven earned runs/12.2 innings)...Was optioned to Las Vegas on August 23...Was recalled from Las Vegas on September 7...Made three appearances, two starts to conclude his season with the Mets, going 1-0 and posting a 0.77 ERA (one earned run/11.2 innings)...Over his first five starts, posted a 6.12 ERA (17 earned runs/25.0 innings) while striking out 21, walking 13 and allowing eight home runs...Over his final three major league starts, posted a 1.00 ERA (two earned runs/18.0 innings), striking out 19 and walking eight, while allowing no home runs...Posted an 11.1 scoreless inning streak from September 10-September 27...Pitched a career-high 7.1 innings while allowing one earned run on August 17 against the Cubs at Citi Field...Fanned a season-best 10 in his third career start on May 25 against Arizona at Citi Field...Became the fourth Mets pitcher to strike out 10 or more in one of his first three games. Earned his first major league win in his seventh career start on September 10 against Colorado at Citi Field...Pitched 5.1 scoreless innings, allowing three hits with seven strikeouts...Made two relief appearances, allowing one hit and one earned run over 1.1 innings of work, while striking out two and walking two...Allowed one earned run or fewer in four of his eight starts...As a starter, posted a 3.98 ERA (19 earned runs/43.0 innings)...As a reliever, posted a 6.75 ERA (one earned run/1.1 innings)...Righties hit .215 (17-79) against, while lefthanded batters had a .293 (27-92) average...Five of his eight home runs came against lefthanded batters...Allowed 23 walks over 44.1 innings with the Mets for a BB/9 rate of 4.67...In his eight starts, had a 4.40 BB/9 rate, highest among major league rookie starters (minimum 40.0 innings)...Walked 34 batters in 16 starts with Las Vegas this season (80.0 innings) for a BB/9 rate of 3.83...Entered the year with a career BB/9 rate of 1.73...Was named the Pacific Coast League Pitcher of the Week for the week of August 4-10 after tossing two consecutive scoreless outings for Las Vegas. Named to Baseball America's First Team Minor League All-Star team... Went 12-7 with a 2.78 ERA ( 48 earned runs/155.1 innings) in 27 combined starts between Binghamton (AA) of the Eastern League and Las Vegas (AAA) of the Pacific Coast League... Was voted the Sterling Award winner symbolic of the top player on his Las Vegas team…It was his third year in the organization and his third Sterling Award…Was the Organizational Pitcher of the Year in 2012 and the Most Valuable Pitcher on his Gulf Coast League team in 2011... Led all Mets' minor leaguers with 150 strikeouts, while allowing just six home runs with 35 walks... Started the Futures Game for the World Team on July 13 at Citi Field…Pitched a scoreless inning... Became the first pitcher from any organization to make a start in the Dominican Summer League and then make a start in Triple-A two years later... Made a spot start for Las Vegas at Iowa on May 21... At Binghamton he had 72 strikeouts in 66.2 innings, an average of 9.72 per nine innings... At Double A, righthanded batters hit .188 (26-138) against him, while lefthanded batters compiled a .223 (25-112) average against him... Was 2-0 with a 0.00 ERA in two June starts (14 innings)... With Binghamton he went at least six innings in eight of his 11 starts... In Las Vegas he was 3-1 with a 1.40 ERA in six starts in August...In 38.2 innings, he gave up 27 hits, with six runs, earned, six walks and 37 strikeouts... Went 8.0 innings to turn back Memphis on four hits on August 4. Named the Sterling Pitcher of the Year...Finished fourth in the organization with a 2.36 ERA and third with 11wins...Walked 19 batters the entire season, or four percent of the batters he faced...Began the season with Savannah (A) of the South Atlantic League, promoted to St. Lucie (A) of the Florida State Leagueon June 21...Named the Florida State League Pitcher of the Week on August 13 after taking a no-hitter into the eighth inning onAugust 7 at Palm Beach...Placed on the Disabled List from August 10th until the end of the year with a right ankle contusion...His combined record with Savannah and St. Lucie was 11-5 with a 2.36 ERA in 20 games, all starts...In 122.0 innings, hegave up 96 hits, 37 runs, 32 earned, with 19 walks and 110 strikeouts...At Savannah, opponents hit .223 against him (61-274), while at St. Lucie, teams batted .196 against him (35-179)...In seven starts in May and June at Savannah, he was 4-2 with a 1.85 ERA (nine earned runs in 43.2 innings)...Went a season-high eight innings to turn back Greensboro on June 1...Allowed no runs on four hits with no walks andsix strikeouts...Also went seven innings once and six innings five times...Won his last three starts for St. Lucie from July 24-August 7...Went 19.1 innings over that stretch he gave up 13 hits,five runs, and four earned with an ERA of 1.86...Struck out 14 in 6.0 innings in a victory at Clearwater on July 31st...Fanned 10 in 6.0 innings at Brevard County on July 17th...Pitched at least 6.0 innings in seven of his 12 starts for Savannah. Won the Sterling Award emblematic of Most Valuable Player on his Gulf Coast (R) team...Also combined to go 3-1 in six games (four starts) at Kingsport (R) of the Appalachian (R) and Brooklyn (A) of the NewYork-Penn League. Mets' last roster question: Who completes 'pen? January 4, 2019 Texas Rangers signed free agent RHP Rafael Montero to a minor league contract and invited him to spring training. January 4, 2019 RHP Rafael Montero assigned to Nashville Sounds. November 2, 2018 RHP Rafael Montero elected free agency. November 2, 2018 New York Mets sent RHP Rafael Montero outright to Syracuse Chiefs. December 12, 2017 RHP Rafael Montero assigned to Toros del Este. June 14, 2017 New York Mets recalled RHP Rafael Montero from Las Vegas 51s. May 26, 2017 New York Mets optioned RHP Rafael Montero to Las Vegas 51s. May 5, 2017 New York Mets recalled Rafael Montero from Las Vegas 51s. April 20, 2017 New York Mets optioned RHP Rafael Montero to Las Vegas 51s. October 6, 2016 Rafael Montero roster status changed by New York Mets. October 5, 2016 New York Mets reassigned RHP Rafael Montero to the minor leagues. September 6, 2016 New York Mets recalled RHP Rafael Montero from Binghamton Mets. August 30, 2016 New York Mets optioned RHP Rafael Montero to Binghamton Mets. August 29, 2016 New York Mets recalled Rafael Montero from Binghamton Mets. July 14, 2016 RHP Rafael Montero assigned to Binghamton Mets from Las Vegas 51s. April 23, 2016 New York Mets optioned RHP Rafael Montero to Las Vegas 51s. April 13, 2016 New York Mets recalled Rafael Montero from Las Vegas 51s. March 11, 2016 New York Mets optioned RHP Rafael Montero to Las Vegas 51s. November 3, 2015 Rafael Montero roster status changed by New York Mets. August 11, 2015 New York Mets sent RHP Rafael Montero on a rehab assignment to St. Lucie Mets. July 14, 2015 New York Mets sent RHP Rafael Montero on a rehab assignment to GCL Mets. April 28, 2015 New York Mets recalled RHP Rafael Montero from Las Vegas 51s. April 17, 2015 New York Mets optioned RHP Rafael Montero to Las Vegas 51s. October 17, 2014 RHP Rafael Montero assigned to Leones del Escogido. September 6, 2014 New York Mets recalled Rafael Montero from Las Vegas 51s. August 23, 2014 New York Mets optioned RHP Rafael Montero to Las Vegas 51s. August 12, 2014 New York Mets recalled Rafael Montero from Las Vegas 51s. July 17, 2014 RHP Rafael Montero assigned to Las Vegas 51s from St. Lucie Mets. July 14, 2014 RHP Rafael Montero assigned to St. Lucie Mets from Las Vegas 51s. July 9, 2014 Las Vegas 51s sent RHP Rafael Montero on a rehab assignment to GCL Mets. June 16, 2014 Las Vegas 51s placed RHP Rafael Montero on the 7-day disabled list retroactive to June 15, 2014. May 31, 2014 New York Mets optioned RHP Rafael Montero to Las Vegas 51s. May 14, 2014 New York Mets selected the contract of Rafael Montero from Las Vegas 51s. February 11, 2014 New York Mets invited non-roster RHP Rafael Montero to spring training. June 15, 2013 RHP Rafael Montero assigned to Las Vegas 51s from Binghamton Mets. May 22, 2013 Rafael Montero assigned to Binghamton Mets from Las Vegas 51s. May 20, 2013 Rafael Montero assigned to Las Vegas 51s from Binghamton Mets. April 4, 2013 Rafael Montero assigned to Binghamton Mets from St. Lucie Mets. January 14, 2013 New York Mets invited non-roster RHP Rafael Montero to spring training. September 13, 2012 Rafael Montero roster status changed by St. Lucie Mets. August 10, 2012 St. Lucie Mets placed RHP Rafael Montero on the 7-day disabled list. June 21, 2012 RHP Rafael Montero assigned to St. Lucie Mets from Savannah Sand Gnats. April 4, 2012 Rafael Montero assigned to Savannah Sand Gnats from Brooklyn Cyclones. August 31, 2011 Rafael Montero assigned to Brooklyn Cyclones from Kingsport Mets. August 6, 2011 Rafael Montero assigned to Kingsport Mets from GCL Mets. June 20, 2011 Rafael Montero assigned to GCL Mets from DSL Mets1. May 28, 2011 Rafael Montero assigned to DSL Mets1.